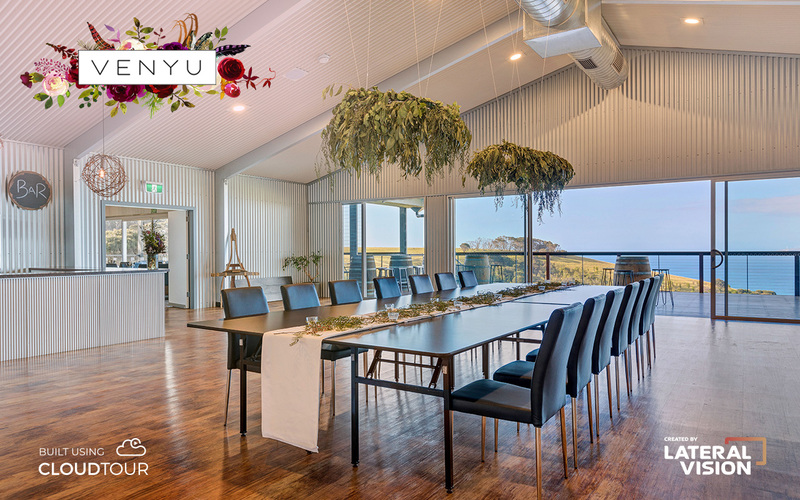 Venyu’s vision was to be able to explore wedding venues in an interactive and informative way prior to an onsite visit. Usability, branding and the ability to update information boxes and the gallery was important. To create a point of difference in a competitive market, we collaborated with Venyu to create a series of custom CloudTour virtual tours of wedding venues. These virtual tours use 360 degree imagery and can be viewed in Google Cardboard Headsets in virtual reality mode. For this project, we have a number of capturing options for the client including a quick shoot/budget option (one-shot 360-camera), a premium imagery option (HDR camera) and aerial imagery option. We also offer still venue photography and videography. A custom CloudTour template was created for Venyu by our UI/UX and graphics team to work with the Venyu branding and website design. Venyu also utilise our CMS to update the information boxes and gallery images for each venue. The tours are incorporated into the Venyu website for distribution. They can also be shared directly with customers and via social media. Lateral Vision’s CloudTour product has been an invaluable tool for VENYU, allowing us to showcase remote spaces to a broad base of clientele. The CloudTour template has been fully customised to suit our needs and using their high quality 360 photography, we’ve created a product that engages the audience 4-6 times longer than with traditional digital means.